» Australian Immigration: What is Subclass 189? Australian Immigration: What is Subclass 189? 2 What is Subclass 189? How to apply? Many people want to move to Australia. Every year, a lot more people used to move Australia through Australian immigration. Australia is basically one of those countries which have more resources as compared to professionals, so they need people and professionals from all over the world to work there and earn. Australia is always providing opportunities to many Pakistani people to immigrate to Australia. There are various visa options through which one can easily move to Australia. These visa plans include business visa, student visa, job visa, skilled immigration, state visa etc. 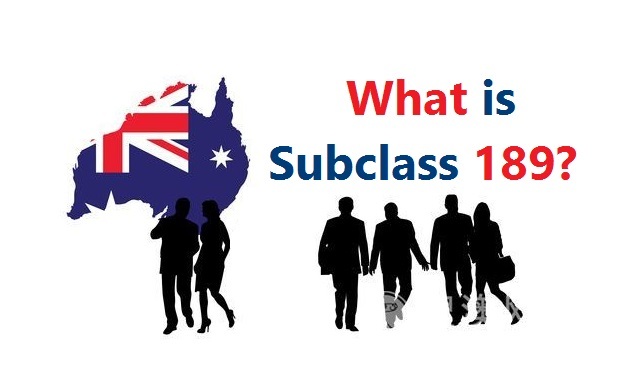 People who have some interest in moving to Australia always ask that what is subclass 189 and what is subclass 190? Also, what is the difference between them? In this article, you will find out everything about it. What is Subclass 189? It is one of the types of Australian immigration visa. Either an individual moves to Australia on the behalf of state/territory or a family member. It’s all expenses are sponsored by that family member or the state. If these expenses are not sponsored by any of them, an individual will have to move on its own. The holder of subclass 189 will live there on its own. He can earn and make money there. Visa holder of Subclass 189 will live there and work permanently to earn and make money for its value. Usually, it is the only individual who has applied for subclass 189 but sometimes, its family members can also accompany him. For all the skilled workers, this visa plan is just awesome to get for. It allows you to work and live in Australia permanently as an Australian resident. What is Subclass 189? How to apply? To apply for the subclass 189, one must fulfill following necessary details. Against that occupation that you have chosen, you must be having some suitable level skills assessment for that occupation. At the time of issuance of invitation during subclass 189, the candidate should be in the age range of 18-50 years. There are certain language requirements. One should be capable of speaking and writing basic English and grammar. Point test is a must thing. One should have more than 60 scores in that. One can include any of the family members in the visa. It can be your partner, your family or your children. It can also be your partner dependent child. Your children can study in Australia. Health-related and care activities come under this visa plan. One can apply for Australian citizenship as well. In subclass 189 visa program, it definitely takes some time to get complete. You might be taken some months for the procedure to get complete. Actually, there are a lot more factors on which all of these things are dependent. Your documents, their verification, test, assessment tests, point test all of them take time. After all this, the thing that matters the most is the priority list. Processing time is different for different categories. Those candidates that are recommended by the state and are regional sponsored scheme, they are taken first. So in this way, processing time is different for all the categories. Subclass 189 has those candidates which are doing all this on their own. The processing time of subclass 189 Visa takes longer than any other visa scheme. In case, if there is any issue in the verification of documents, you will be proceed back to the stage one or either you will be asked for more documents. Subclass 189 is different from the subclass 190 due to the nature. If 189 VS 190 is done, following are some of the very important results. Both are permanent resident of Australia 189 as well as 190. Subclass 189 should only choose occupation from SOL while subclass 190 can choose anyone from SOL or CSOL. In visa application process, procedure and stage steps are same for both subclasses 189 as well as 190. Processing time for both subclasses 189 as well as 190 is ranging from 3 to 6 months. If you have subclass 189, you can live anywhere you want in Australia. You don’t have any restrictions. While during subclass 190, you need to live at one specific place for first two years. There are two main types of subclass 489. In this visa program, an individual will have to move to Australia and to live not according to subclass 189. In this process, an individual will be allowed to live in Australia in the specified region. He cannot move for four years from that specified regional space according to subclass 489. First type is invited pathway. In this, you will have to submit an expression of interest. You will express your interest in which you are interested and want to do there in Australia. Second type is named as Extended Stay Pathway. In this program, you will have to choose from skilled renewal regional visa. You will first be sent an invitation. The nomination will be sent to you by Australian agency or state. Holders of subclass 489 will have to live at specified space for four years to get the permanent residence. To get nominated , you should either be sponsored by your family member living in Australia or by government state or territory. In contrast to subclass 189, subclass 190 is the newer visa program. This is sponsored by Australian state for those individuals who are skilled in their work and occupation and want to carry out their career in Australia. In this subclass 190, visa bureau is not Australian company rather UK based company is involved in issuing you a visa for the Australian immigration. You can live permanent there in Australia just like subclass 189. Skill select is used to express your interest. Occupation should be in SOL and it should match your skills and past experience. Skills assessed by the authority should be enough to get work professionally. Score should be more than 60 and a good know-how of English language. Points test calculator has always remained a very important, legal, eligible and efficient source to count the number of points. The number of points awarded to you actually tells the feasibility of your immigration. Point calculator has been introduced and it is available on different online sites. To use a point calculator, it is really simple and easy to use it. You just need to enter all the necessary details. You will be asked for some tests and some personal details like age etc. These are calculated through specific formulas and you will be given ultimately points that are effective to check out whether you will get Australian Immigration or not. Anywhere when you are going to apply for any admission, job or any official thingy, you must have a checklist. You should be cross-checking so that no document can get incomplete. For the application visa process, one must be providing as much as documents as much he has to support its application. One should try to provide the maximum information so that application can easily be lodged during the process. There are certain application visa charges of any state. You must pay those charges. Those are actually processing charges and taxes etc. Subclass 189is one of the most charismatic visa programs. Basic required documents for identity are necessary. There must be colored copies of passport or all the traveling documents. Passport size photographs are very much necessary. One can have digital photos as an alternative as well. In case, you have changed your name in the recent past, provide with the certified document verifying it. Birth registration is very important showing your age as immigration has very strict age restrictions. You must have the birth certificate showing the names of both of your parents. If you are married, provide with the complete details of your spouse. Marriage certificate or relationship registration certificate needs to be provided. Complete details of your children starting from their birth certificates to blood groups, all details should be provided to complete the checklist of subclass 189. Now, I hope you have some idea about what is Subclass 189, how can you apply for it and what the benefits. If you want to know more about any kind of immigration, you can contact us and we will guide you further.